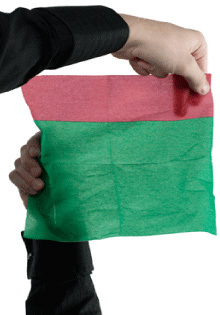 "Twist a Napkin Into a Memory!" 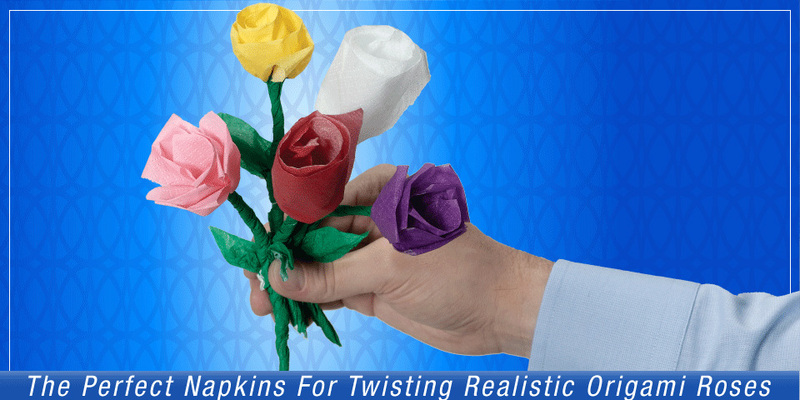 Napkin Rose napkins allow you to easily twist red, pink, yellow, white or purple origami roses with green stems that people will keep forever. The perfect giveaway item, Napkin Roses are great for parties, weddings, Valentine's Day, anniversaries, cruise ships, bartenders, restaurants, doctors, hospitals, teachers, children, entertainers, arts & crafts and much more! 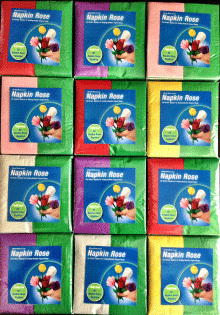 Napkin Rose napkins were created by Michael Mode / Big Lightbulb Inc. and first marketed in 2004.